#TBT Requests! Mike’s old cowboy pic was a big hit on Saturday. We are requesting more! If you have an old pic of any kind…a silly pic, a before CrossFit pic, crazy haircuts, etc email it to [email protected] Go digging in your mom’s basement this week and send us something good! 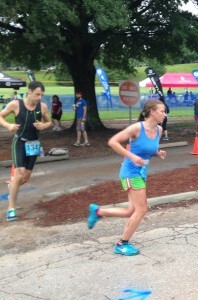 Congrats to Mary Stone for finishing 1st place in the Novice division in the Greenville Triathlon. She also got het 1st strict pull up the day before. Way to go, Mary!